Jeepneys are a popular means of public transportation in the Philippines. They were originally made from US military jeeps left over from World War II and are well known for their flamboyant decoration and crowded seating. As American troops began to leave the Philippines at the end of World War II, hundreds of surplus jeeps were sold or given to local Filipinos. Locals stripped down the jeeps to accommodate several passengers, added metal roofs for shade, and decorated the vehicles with vibrant colors and bright chrome hood ornaments. The jeepney rapidly emerged as a popular and creative way to re-establish inexpensive public transportation, which had been virtually destroyed during World War II. Recognizing the wide-spread use of these vehicles, the Philippine government began to place restrictions on their use. Drivers now must have specialized licenses, regular routes, and reasonably fixed fares. Although the original jeepneys were simply refurbished military jeeps, modern jeepneys are now produced by independently owned factories within the Philippines. In the central Philippine island of Cebu, the bulk of jeepneys are built using second-hand Japanese trucks, originally intended for hauling cargo rather than passengers. These are euphemistically known as "surplus" trucks. The word jeepney is usually believed to come from the words "jeep" and "knee" because of the crowded seating, passengers must sit knee to knee. Hence, the word jeepney. The word jeepney is also commonly believed to be a portmanteau of "jeep" and "jitney"
Members of the Filipino War Veterans of Butuan City and Agusan del Norte led by Engr. Hadji Andres Atega, 1st District Agusan del Norte Commander of the Veteran’s Federation of the Philippines pose during the 2011 Veterans Week: Araw ng Kagitingan celebration with the theme “Beterano: Huwaran ng Lahing Pilipino”, held April 9, 2011 at the City Library grounds, Butuan City. President Benigno S. Aquino III leads the 69th commemoration of Araw ng Kagitingan (Day of Valor) Saturday at the Dambana ng Kagitingan in Pilar, Bataan. The President will be given full military honors with a 21-gun salute by the military, followed by a wreath-laying ceremony at the Colonnade. The President will be accompanied by United States Ambassador to the Philippines Harry Thomas Jr. and Japanese Ambassador Makoto Katsura during the ceremony. After Thomas and Katsura have their own speeches, the President delivers his message during the commemoration. With the theme, "Beterano: Huwaran ng Lahing Pilipino," this year's celebration is one of the events organized by the Defense department for Filipino veterans who fought during the World War II. Around 2,000 guests composed of war veterans, students, local officials and members of the diplomatic corps and teachers are expected to attend Saturday's event. In 1987, then President Corazon C. Aquino, the mother of the current President, issued Executive Order 23 declaring April 9 of every year a regular holiday for the observance of Araw ng Kagitingan. In 1989, she issued Proclamation 466 designating April 9 to 11 of each year as Philippine Veterans Week in recognition of the gallantry of Filipino war veterans. The Defense department, along with other government agencies and non-government organizations, organize series of events during the period to promote, preserve and recognize the heroic deeds of Filipino veterans. Aside from the high profile guests, Defense Secretary Voltaire Gazmin, Armed Forces chief of staff Lt. Gen. Eduardo Oban and Philippine Veterans Affairs Office administrator Gen. Ernesto Carolina are also expected to attend the event. 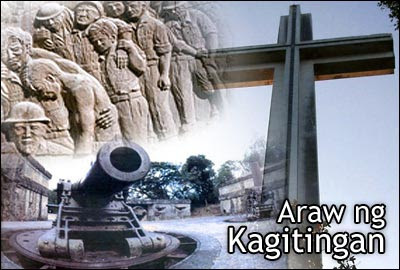 President Aquino will lead today the 70th commemoration of the Araw ng Kagitingan at the Dambana ng Kagitingan in Mt. Samat, Pilar, Bataan to highlight the 2012 observance of the Philippine Veterans Week. 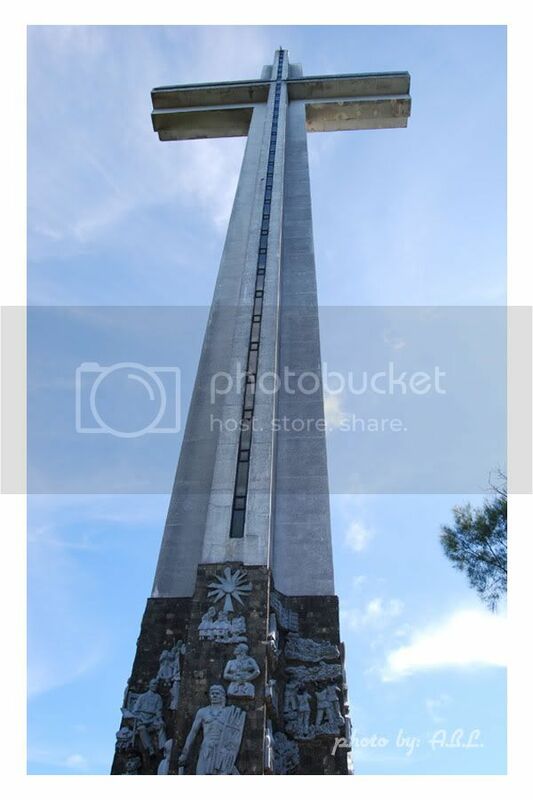 "Araw ng Kagitingan", also known as the "Day of Valor, is a regular non-working holiday in thePhilippines which is annually celebrated on the 9th of April to commemorate the heroism of Filipinos and American Soldiers when the Japanese occupied the Philippines during the World War II. Toyota Motor Philippines Corporation (TMP) is an automotive manufacturing company incorporated in August 3, 1988. TMP is owned by the following business entities: Metropolitan Bank and Trust Company; Toyota Motor Corporation; and Mitsui & Company Limited. In 1995, the Toyota Santa Rosa (Laguna) Industrial complex was declared as a Special Economic Zone. The 82-hectare Toyota Special Economic Zone (TSEZ) houses Toyota's manufacturing plant and head office, and is home to a number of investors performing strategic roles in the manufacture and export of automotive products to ASEAN, Japan, and other parts of the world. TMP is the biggest automotive company in the country, with the widest vehicle line-up of 17 models and a sales distribution and service network composed of 28* outlets nationwide. Products include the Vios, Innova, Corolla Altis, Yaris, Camry, Fortuner, Hilux, Hilux FX, Avanza, Prius, Rav4, Hiace, Previa, LC200, Prado, Alphard, and Coaster. Market share in 2010 was 33.4%. In October 2011, TMP sold its 700,000th vehicle, making Toyota the first in the Philippine automotive industry to achieve this feat. The TMP manufacturing plant is currently produces the best-selling Innova and Vios. With Toyota Motor Philippines Corporation at the forefront of the Philippine automotive industry, we invite you to join us as we reaffirm our commitment to spur economic growth and to help the country and the Filipino people shape a more prosperous future. The Toyota Way is the core belief system for all Toyota operations around the world, regardless of local culture and ownership structure. It underlies all thoughts and deeds of the global organization. The Toyota Way is built on two pillars: Continuous Improvement and Respect for People. Grounded on the PDCA cycle (Plan, Do, Check, Act), Continuous Improvement defines the constant pursuit to raise quality, lower costs, generate results faster and satisfy the customer more efficiently.Respect for People recognizes that success, as shared by customers, employees, shareholders, dealers and suppliers results from working together in the spirit of openness, fairness and trust. As the leading player in the automotive industry, TMP provides a very competitive salary and benefits package to its Team Members. Based on market assessments and Company guidelines that ensure equity, TMP's compensation scheme reflects how much the Company values and cares for its Team Members. TMP provides a wide range of benefits to support all aspects of work and family life. The benefits structure consists of: (1) base-level benefits which apply to all Team Members and (2) supplementary benefits which are chosen by Team Members according to his needs. Francisco Pulido examines one of his finished models. Francisco Pulido was born in Caldes de Montbui, a small town near Barcelona in Spain. He builds automobile models, primarily in 1/10 scale, making every part himself and even taking processes like painting and electro-plating in-house in order to control quality. A typical model takes about 3000 hours and can entail the production and assembly of up to 6000 pieces. He works from plans and photos, and in the case of the 4.5 liter Bentley shown here, drew the plans himself from measurements taken from the actual car. Though trained in electronics, all the mechanical skills required to build models were self-taught, including how to operate machine tools. His shop includes a lathe, milling machine, sandblaster, polishing motor, hanging motor and an ultrasonic machine to clean the pieces before plating, and manual tools. He also frequents stores that sell to jewelers to obtain the tools he needs for really fine work. Some time ago he became acquainted with master model maker Gerald Wingrove through his work. He came to our attention through a recommendation from Mr. Wingrove as one of the most promising new talents in the field of model making. Like the great majority of modellers, Francisco began in the world of modelling with commercial kits. " I remember, perfectly, the first cars that my father bought me to built. They were Matchbox cars, and one Saturday morning was enough to destroy the kit; assembling without painting it". But his love of the assembly and his passion for the world of cars was so great that step by step he continued perfecting his assembly techniques and the knowledge of new elements such as the use of paint. "From Matchbox I passed to another better brand, Esci. It was at that time that Zanini triumphed in the rallying world, and I can still remember the amount of work that the SEAT 131 Abarth with its blue and yellow paint gave me. Years later, and after lots of saving I had the opportunity to built my first Tamiya kit." Over the years, Francisco experimented with various things like photoengravings, transkits, and the elaboration of pieces for the improvement of the kits. "The Pocher Alpha Romeo 8C was the last commercial kit that I built. I improved many pieces, but when I finished it I had the feeling that I had arrived at the end of an era, and that I had to take a very different path to continue with my hobby. I joined the workshop with the intention of building a car, starting from scratch, to scale 1/10. I'd calculated around two or three hundred pieces, and my first idea was to copy a BBurago (brand) model, increasing the size of it, and built the Bugatti Type 59. When I finished the first wheel I thought that I could make something better than I'd imagined in the beginning. I ended up spending two years working on something that had begun as a game, and at times it was very hard work. Two years, or the equivalent to 1600 hours of my free time were spent in building and assembling those 4600+ pieces that made up the Bugatti. The most important thing is to try and better oneself and solve the thousand and one problems that come up over time. Before finishing the Bugatti, I thought about my next adventure, the Bentley 4 ½ Litre Blower, and now that I am about to finish the Bentley I have the majority of the documentation of my next model: the Bugatti Type 57 SC Corsica. Working on the Bentley has been really amazing, I have improved in many aspects and that has been one of the cause of the increase in the number of pieces. I hope to continue along these lines for a long time... and hope that all of us who like this hobby can enjoy it." Francisco has provided a great deal of information about the Blower Bentley and how he built the model. You will find this description right below the section below showing photos of the model. The brass frame, axels and brakes are under construction in this early photo. The rolling chassis without motor. Instruments for the instrument panel have been turned and the dial faces prepared for application to the gages. The first stage of motor construction shows the valve cover completed and some of the upper block work completed, but he lower block is still just a rough billet. Here is a detail of the starter gear, flywheel and clutch components. Here the rolling chassis has the motor and dash in place as well as the fuel tank. The frame is painted. Painted bodywork panels have been assembled, yet even when completed much of the car remains exposed, making it quite a challenge for a model maker. A detail of the front end shows some of the supercharger detail as well as the mesh radiator grill. Detail of the wire wheels can also be inspected here. A posed shot of the finished model makes it look like it is sitting in the street in front of a home. A photo of the real Bentley being assembled. Details of the dash and frame details in photos like this are of great help to a modeler, because even when you have access to an original car to examine, you usually are not at liberty to disassemble it to see what's underneath. Another research photo shows a group of workers working on the frame of the car. "In the 1920’s it was claimed that only two makes of car would race at Le Mans: one, a Bentley, and the other a representative from the rest of the world." time to competing in car races. He competed against Rex and Indian and his sporting experiences include twice entering the Isle of Man Tourist Trophy, which comprised of pure speed tests, hill climbs and velodrome races, including some at Brooklands. In 1910, the 22 year-old engineer stopped working with locomotives and spent two years on the technical supervision of several hundred taxis, including their repair and maintenance, at the National Cab Company in London. In 1912, together with his brother, he became the London Agent for the French development company DPF (Doriot, Flandrian & Parant). This factory, which was only six years old, entered its own cars in competition for the first time ever under Bentley. This agile 2 litre tetracylindrical engine was prepared for competition by the Bentley brothers. In this first competition outing, W.O. surprised the owners of DFP as much as the competition with a victory at the legendary Brooklands velodrome, and a short time afterwards, he achieved the world speed record for a 2 litre engine with a velocity of almost 150km/h. The secret of his success was as a result of, amongst other things, his use of aluminium pistons. At that time, the durability problems had not been solved and it was in this field that W.O. was a pioneer. With the start of the World War in 1914, Bentley founded the first British firm to make aviation engines which used aluminium pistons: the air-cooled Bentley BR1 and BR2 which had star cylinders. This resulted in them being among the best and most powerful in the allied forces. In 1919, Bentley founded his own car company with the aim of manufacturing ‘a fast car, a good car, the best of its kind’. The first car with a three litre engine was completed in 1919, and a month later he sent his first car to the Olympia Motor Show. Orders started coming in and a few months after that, he carried out his first road test; news of which was published by The Autocar. After this even more orders came in and a small factory was founded in Oxgate Lane, Cricklewood. The first 3 litre Bentley, a coupe, was launched in September 1921. This model was manufactured until 1923, and, despite its high price, 1619 cars were sold. Its basic characteristics, however, were maintained in all the Bentleys made at the Cricklewood factory, where they made cars with 3, 4.5, 6.5 and 8 litre engines. From 1931, the only part of the original car remaining was the name and the Bentley grille. This meant it had a very short existence - twelve years full of expectation, glory and fame and also constant financial problems. W.O. Bentley had very clear technical ideas but remained somewhat confused regarding company matters. In the end, Rolls-Royce took over Bentley and Cricklewood closed it’s doors forever. Walter Owen Bentley managed three more years at the service of the silver lady (Rolls Royce). After that he worked for Lagonda and Aston Martin, who he led to occupy the first three places in the 24 hours at Le Mans with 3 litre engines in 1954, bringing back memories of Bentley’s five victories in 1924, 1927, 1928, 1929 and 1930. Those were the glory years during which the Bentley Boys achieved success for W.O. whilst Ettore Bugatti ironically yet respectfully, said that ‘Monsieur Bentley made the fastest lorries’ due to the size of the cars. W.O. lived until 1972, but for his admirers, who today still preserve, care for and drive more than a third of the 3034 cars manufactured in Cricklewood, he was then and still remains now unforgettable. When the organisers of the car marathon at the La Sarthe circuit invited W.O. Bentley to participate, he declined, claiming that his pure-blooded cars weren’t built to race for an entire day and night. Later, when he realised that there would be no-one flying the flag for Britain, he reconsidered and decided to race. The race, W.O. in charge of the team, didn’t turn out very well. Drivers Duff and Clement, driver and official test driver, managed to hold onto the lead for a while. However, halfway through the race, a stone punctured the fuel tank. Duff ran 5 kilometres to get to the boxes and Clement, on a borrowed bicycle and with 2 cans of fuel loaded onto his shoulders, made it to where the car had stopped and they managed to restart it. Despite these huge efforts, their rivals had gained a large advantage, and the Bentley had to settle for fourth place. The next year, in 1924, luck was with them a little more than the previous year and the Duff-Clement combination made its mark on Le Mans, covering more than 150km more than the second placed team. W.O. Bentley had already changed his opinion about the 24 Hours, and in 1925 he entered two cars: the usual Duff-Clement team, and a new team of Bertie Moir and David Benjafield. Racing with the convertible top up, Moir-Benjafield’s car consumed a lot more fuel than they had anticipated, and the car stopped twenty kilometres from the official re-fuelling point. The other car practically took off and finished in second place. Three Bentleys lined up for the 1926 race, including a new model; the Super Sport, which was lighter and faster. Twenty four hours of misfortune ensued: two cars ended up in two separate accidents and the third retired twenty minutes from the end. The following year W.O. Bentley added a very fast 4.5 litre car to the other two 3 litre cars. All the vehicles were equipped with a device which allowed the driver to regulate the brakes as the brake shoes wore out. During the first few hours of the night, a multiple accident almost eliminated all three Bentleys. They were all damaged; two irreparably. But the third, with a bent chassis, damaged steering and almost without brakes, carried on with the race. Benjafield and Davis succeeded in hauling the damaged car to victory. In 1928, more names were added to Bentley’s list of pilots: Birkin, Barnato and Chassagne. Nine minutes from the end of the race, Barnato, who was in the lead, realised that there wasn’t much water left in his radiator. Despite the high risk of the engine seizing up, he carried on and secured a third victory for Bentley at Le Mans. 1929 was a good year for Bentley: they entered five cars of which four occupied the first four places at the end of the 24 hour race. For the last three hundred kilometres, the Bentleys maintained their respective places and crossed the finishing line in a triumphant file. Before starting the 8th edition of the 24 hours Le Mans race, expectations were high for the 7 litre Mercedes compressor, driven by Rudi Caracciola and Christian Werner. W.O. Bentley rose to the challenge and entered two teams: one ‘official’ team, comprising three new 6.5 litre Bentleys, and one ‘private’ team comprising three 4.5 litre supercharged engines. As expected , the Mercedes took the lead from the start, but the Bentley drivers launched a ruthless attack to force the the German team to use their Compressor. W.O. had previously stated that the Mercedes wouldn’t be able to cope if it was obliged to race for a long time with the compressor connected. He was right, and the two Bentleys finished in first and second place. The fifth victory at Le Mans was the kiss of death for the London company. The huge economic crisis did the rest and Bentley disappeared forever. The famous race driver Sir Henry Birkin, together with Clive Gallop and the expert in supercharged compressors, Amherst Villiers, developed a supercharged version of the 4.5 litre Bentley, which was much faster than the conventional 6.5 litre cars. This decision was made against W.O. Bentley’s will; he was somewhat wary and didn’t really trust the engines, although while they lasted, their speed was incomparable. Proof of this is Birkin’s still standing record at the former Le Mans circuit. Birkin also achieved another record at the Brooklands circuit, when he convinced the Honourable Dorothy Padget to finance their participation. With her support he built a car which is often referred to as the Auto Pau. With this car Sir Henry reached 220 km/h during the Grand Prix in Pau, and finished in second place with an average of 143 km/h throughout the 395 km race. Type: high-resistance steel chassis with open bodywork. Two-seater sports car. From the outset I had to assemble good graphical documentation based on various articles from different magazines and specialist books about the Bentley. I realized straight away that, despite having all this information, there still wasn’t enough to enable me to achieve the quality of workmanship that I desired. Therefore I carried on investigating until I found a Bentley 4.5 litre in the ‘Antic Car Club de Catalunya’ whose President was the owner of the car. It wasn’t the supercharged version, but it served 80% of my needs. The Antic Car and José Bascones , it’s President, very kindly made the car available to me to take photos and measurements from various angles. Moreover, at the Retromobile Fair in Paris, I came across a supercharged Bentley on display. Luckily, the owners let me take pictures and note down anything that would be of use to me. My friends, the couple, Phyllis and Gerald Wingrove also helped me with additional information. The wheels on the Bentley are Rudge Whitworth type, spoked with 6x15” Dunlop tyres. Making the wheels always requires special care, as they are a very visible part of the car which attracts your attention. The eighty spokes are mounted on two levels, and have to be exactly to scale, although this includes laminating the rod to make the spoke to scale. Each one has to be precise, as differences in thickness would make it inaccurate. I started the process by planning all the steps for the framework of the spokes on paper. Then, I put a round piece of brass in the lathe to begin to reshape the rim. I repeated the same operation to make the different layers of the axle casing/housing. I used brass for these pieces , as they would later be painted in British Racing Green, like in the original model. In addition, I had to draw all the holes on the rims and axle holes on templates on adhesive paper. In total I drilled 800 0.5mm holes , and this required extra special care. I had to make a small bradawl master to make the small bulges in the rim where the spokes separate. To make the actual spokes I used steel tube with a diameter of 0.5mm on the inside and 0.8mm on the outside. For the heads. I made a small square on the tube, using special pliers which I had prepared for this job. Once all the pieces had been prepared the next thing I had to do was make a tool to help me assemble the spokes. In this case it was easier to paint all the pieces before assembling them as trying to paint between eighty spokes would have been impossible. The only things left after this were the tyres. To make them I used a round piece of nylon, 80mm in diameter to make the master. Then I injected resin into them to make the actual tyres. The tyre valve is made up of two pieces: the neck and the lid. This was the last piece to be incorporated into the rim. Like in the previous model, the chassis is made up of two longitudinal tie-beams and three main crossbeams which were then used to support the compressor, the engine, and the gearbox, as well as supporting other mechanisms. The first difficulty I ran into was doing the scale drawing of the original model, given that it is a very long piece which has numerous curves and these all have to be perfect to achieve the desired effect, as this forms the skeleton of the car. I used a brass handrail and then I drew the profile of the chassis on the widest part and the curves on the upper part of the handrail. After that I fixed this piece with clamps to mill the curves of the tie-beams. Once this operation had been finished, I changed the position of the fixings to enable me to mill the definitive profile of the tie-beams. Then, when the upper part had been hollowed out, I was able to solder the crossbeams and the tips with silver. That completed what would be the backbone of the model. Following on from that, I had to make the rest of the chassis pieces like the axles, the drums, springs, shock absorbers, transmitters, the compressor, the carburettor, the headlights, the radiator, the engine block, the clutch, the gearbox, the cardon joint, the differential, the petrol tank, the firewall, the dashboard, the exhaust pipe, the mudguard and the bodywork. For the moment I won’t go into detail about all those parts and just deal with positioning them on the chassis. Basically I used brass to make the majority of these pieces. Brass is a very malleable material; it is easily machined with steel tools, it isn’t complicated to solder and moreover, it is easy to drill, thread, and nickel-plate. Also, I decided to use aluminium for the parts where aluminium was employed on the real car. Aluminium is not as easy to machine and additionally, drilling and threading is much more difficult and risky with aluminium than brass. Another disadvantage is that it is impossible to solder pieces of such small dimensions. This model incorporates a wide range of screws, measuring 0.7, 0.8, 1.0, 1.2, and 1.4mm. Moreover, hexagonal screws made by myself have also been used. This required great effort, but it was worth it in order to achieve the perfection that I was looking for. We’ll now move onto how I made all the previously mentioned pieces which were then incorporated into the chassis. The front axle appears to be a simple piece, but it caused great difficulty. It is a rigid axle in ‘H’ form which, apart from milling the profile, has to be hollowed out from inside and shape it so it supports the springs. Other interesting parts are the ‘U’ shaped pieces which support the two front drums. They have to be milled at a 5 degree angle which is necessary for the front wheels. To make the shock absorbers, I prepared a small master to cut the thirty equal pieces which make them up from 0.3mm sheet. Combined with the intermediate discs, the screws, and the regulation pieces that finished off the shock absorbers. The compressor is one of the brightest and most colourful parts of the car. It is an Amherst Villiers Roots and attracts your attention due to it’s size at the back of the chassis. The head of the compressor required complicated milling due to the different circular parts that make it up. I also had to drill various holes to be able to hold the piece using 1 metric screws. Following that I made the body, or central part, laterally milling it with a ‘H’ shaped tool to make the cooling fins, but not forgetting to leave spaces in between for the pins which would hold the compressor head. The final part was a round piece which I made using a simple turning operation. After that I made the finned outlet pipe that is fixed onto the left hand side of the compressor. It comprises various pieces, which were all milled, turned and fixed onto the side of the compressor using blind screws. On the right of the compressor are the variable diffuser carburettors made by the SU Company. All the pieces of the two carburettors were made from brass as on the real car, except for the vacuum chamber bells which I made from aluminium. It was also necessary to produce two photo-etchings, with the make and the characteristics of the carburettors, which I positioned on the top of them. e I had to also put a fine mark on the heads. The carburettors took me several days to make the 70+ pieces which make them up. The radiator grille on the Bentley has a single form, specific to this make of car. I started to mill it from a piece of brass, taking into account that it would have to be finished by hand on a lime base given that it doesn’t have consistently smooth curves. The upper part of the block is maximised to work on the body of the radiator. The front grille is made of stainless steel and it is important that it is to scale; the light spacing as much as the diameter of the grille. The top/lid is the most complicated part of the grille due to its reduced dimensions. I made it like the real one, so it could be opened and closed. The most challenging part was getting the pressure right for the closing mechanism. The small top is made up of no less than seventeen pieces of brass, which were then nickel-plated. They all have to move perfectly and one of the most difficult parts was making the two wooden handles on the upper piece. To finish the radiator, I nickel plated the grille too. I chose this instead of chrome-plating it because at the time the Bentley was made, this type of chrome plating had still not been invented. One always has to take into account historical references if the desired objective is to produce a perfect model. Lastly, I needed a new photograph with the Bentley emblem on it, which I later nickel-plated and positioned on the upper part of the grille. To finish I had to create the hump where the water tube re-enters. In this hump I positioned the sensor which measures the temperature of the water. The gear box is separate from the engine and is situated in the middle part of the chassis. There is a short transmission driveshaft from the engine to the gearbox back, and a second drive shaft with universal joints at each end from the rear of the gear box to the differential at the back axle. It is made almost entirely from aluminium; the only parts made from brass are the register heads. On the right hand side of the gear box you can see the transmission arm where the gear-change is situated. A small box where the ‘H’ goes, comes from the gear-change lever, which I’d previously milled on 0.3mm aluminium sheet and which is attached with 0.8mm screws. The gear-lever itself was simply made by milling and then I attached an aluminium handle on the end. To finish, on the upper-central part of the gearbox, I had to mill a small ventilation grille, which, due to it’s size, had to be fastened with 0.6mm screws. From the back you can really get a good view of it and appreciate the size of the petrol tank. I used 0.8mm brass sheet to make it, made into a strip and then formed it, as on the real car. The mesh protection is in place because at that time the roads were generally gravel, and it was quite normal for stones to fly up off the road and puncture the petrol tanks. In the upper part is the petrol filler and the petrol cap, which have the same pieces as the radiator but on a larger scale. The petrol pipes are located on either side of the tank and have four taps to open and close the petrol flow. The rear lights are mounted on a bracket right at the back, which is also used to support the end of the exhaust pipe. The rear lights were quite difficult. Firstly I made a ball using the lathe, and milled three slots above which I put the red methacrylate circles for the lights. After that I made a fourth hole where I soldered the bar which attaches the lights to the bracket and a fifth hole to attach the fitting where the cable which feeds the pilot lights goes in. The amount of work compared to the tiny size of the piece is incredible. As I’ve previously mentioned, the steering is one of the things that requires the most care and attention when it comes to making it. It has a worm gear inside and a pinion, which transmits the movement to the wheels. It is made of aluminium and was made entirely using the lathe. Due to the length of the bonnet and the fact that the engine has four cylinders, the firewall Protrudes slightly compared to the bodywork, which adds to the car’s attractiveness. This mean that it was necessary to detail the firewall on both sides. This protrusion of the firewall leaves the back of the dashboard exposed, meaning it was also necessary to detail it with precision, including the cables. The complexity of the firewall and dashboard meant that I spent more than six hundred hours on them. Basically, it is made up of a mixture of 1, 3 and 6mm brass sheets where I positioned the dynamo with its connection to the engine, the current regulator, two petrol tanks, angular supports which support the dashboard, the accelerator, two connection boxes and infinite connection pieces which go from one side of the firewall to the other, carrying pipes with oil, water and air. All these auxiliary pieces were made from brass and then either painted or nickel-plated, with the exception of the lid of the current regulator which was made from aluminium. The ignition boxes were made from ebonite, as on the real car. I had to be extremely meticulous due to the fact that tubes, flexes, cables and other mechanisms pass across the firewall, and these are seen by the observer when they open the bonnet. Like in the real model, I used aluminium to make the majority of the engine. As I said earlier, working with aluminium carries a great risk, due to the fact that it is much more durable than brass and very common for drill bits and pins to break whilst drilling or threading it. The engine is made up of three main parts: the block, the cylinder and the cylinder head or rocker lid. It is supported in the chassis by three points: at the front, the part where it connects with the compressor, and the two arms which separate the block and rest on the tie-beams of the chassis. The detail on the engine is a different matter altogether. You have to begin by making the largest pieces first, moving down to the smallest pieces last. Firstly, I milled the drive shaft and the arm which supports the two magnetos. the bodies of the magnetos were made from ebonite like on the real car, and the magneto insulation is made of bakelite. Now, I’ll move on to the most complicated part of the whole model: the inlet manifold. It is made up of eighty-seven pieces, of which twenty-six are soldered. Hopefully this gives an indication as to the difficulty involved in the making of this piece. Another interesting part of the engine is the clutch. Due to the fact that it is circular in shape, I made it entirely using the milling machine. Finally, moving onto the largest pieces, I made the oil tubes and the starter motor, the starter motor being positioned on one of the engine support arms. After these, the largest pieces, came the very smallest pieces such as cylinders, lids, oil distribution tubes, spark plugs, cables and all the screws. In total the engine is made up of almost nine-hundred pieces. To make the bodywork, I fabricated a master copy from wood, which served to mould the brass sheet I used in the bodywork. I shaped the brass sheet using a hammer and then assembled the additional parts with soft solder. The interior panels and the seats were made of wood and then covered with leather. When the interior panels fitted well, I cut the doors out and made the hinges and the locks. Vanden Plas in the thirties. Although it appears to be a simple piece, it is in fact totally the opposite. It has a double curvature and it’s an extremely complicated job to achieve this form perfectly. Using a rolling mill can make the job easier, although the head still has to be done using the lathe in order to re-shape the brass sheet. The mudguards have one other laborious part which consists of preparing and riveting the reinforcements for the support arms. If we want to see a complex dashboard, then the Bentley is a perfect example. It has no fewer than nine clocks, five switches and three other controls. To begin with I drew the plan of the layout of the clocks and controls. Next, before separating it from the plug and using the wooden turning machine, I made the 969 circular marks, keeping to the same order and sequence as on the original car, only ten times smaller. Next, I moved on to the lathe to make the bases of the clocks and the faces. I then printed them at high resolution, which is essential for the size of them and the black background of the face. It also helped to prepare a cutting master with all the diameters of the faces so I would be sure to cut them exactly to size. I also used it to cut the glass for the clocks. To finish, the only thing left was to paint the all the pieces and then put it all together; the hands, the glass and all the tubes and cables that go from this complicated dashboard to various parts of the car. The steering wheel was made from brass which I painted black. I then wound string around the hoop to give it the same effect as the original. The windscreen and the protective grille were also made of brass and then nickel-plated. The system of bars on the roof will be the last parts to complete the model. Several explanations failed to get a mention, but I’m sure you, the reader, will appreciate that any further detailed description would be a never-ending task!